When the New York Times referred to Ursula K. Le Guin as America's greatest writer of science fiction, they just might have undersold her legacy. It's hard to look at her vast body of work?novels and stories across multiple genres, poems, translations, essays, speeches, and criticism?and see anything but one of our greatest writers, period. In a series of interviews with David Naimon (Between the Covers), Le Guin discusses craft, aesthetics, and philosophy in her fiction, poetry, and nonfiction respectively. 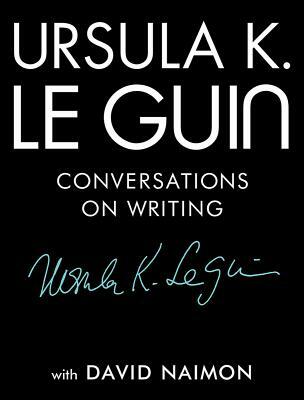 The discussions provide ample advice and guidance for writers of every level, but also give Le Guin a chance to to sound off on some of her favorite subjects: the genre wars, the patriarchy, the natural world, and what, in her opinion, makes for great writing. With excerpts from her own books and those that she looked to for inspiration, this volume is a treat for Le Guin's longtime readers, a perfect introduction for those first approaching her writing, and a tribute to her incredible life and work.